When cutting a spur gear using a Browne and Sharpe type cutter it is essential that the center of the cutter is at the height of the middle of the workpiece. Gears with offset teeth will not mesh properly. It is very easy to set this up visually so it looks ok. However it is only when it is too late the error is found. 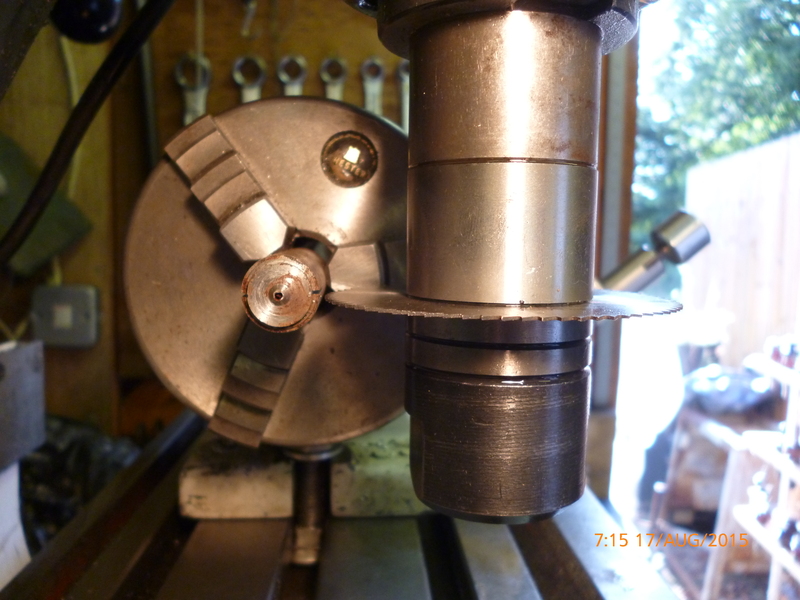 This can be easily shown by setting up the cutter on a stub arbor and fitting the dividing head with any piece of scrap round material. 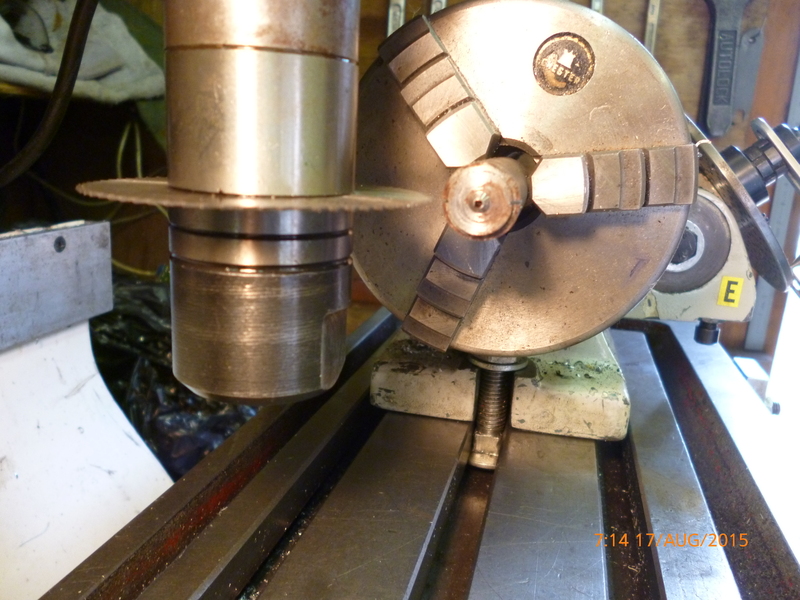 If a cut is made on one side and the workpiece is turned round 180º and another cut made then it becomes clear the two are at diffent heights. It is hard just by looking to see if both of these are at the same height. Even more convincing is to make a cut on one side, turn the workpiece through 180º and then move the workpiece round to the other side of the cutter. It is not obvious from this photo that the cut is the same height as the cutter. This can be tested by moving the cutter so it is right next to the cut. Though this is better it might not be as easy to do due to the lack of space . 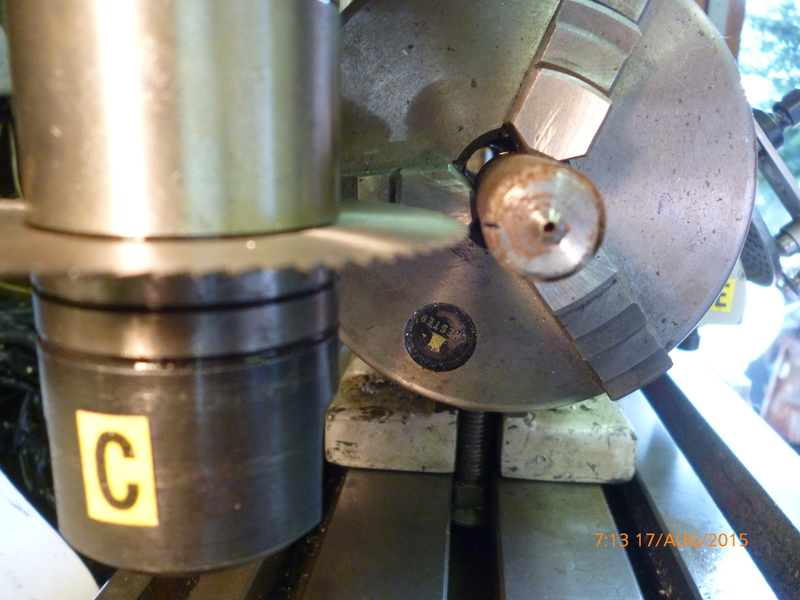 It is easy to measure the diameter of the workpiece. It is easy to measure the overall thickness of the cutter. It is also possible to use the height of the axis of the dividing head. This is done by using a height gauge. 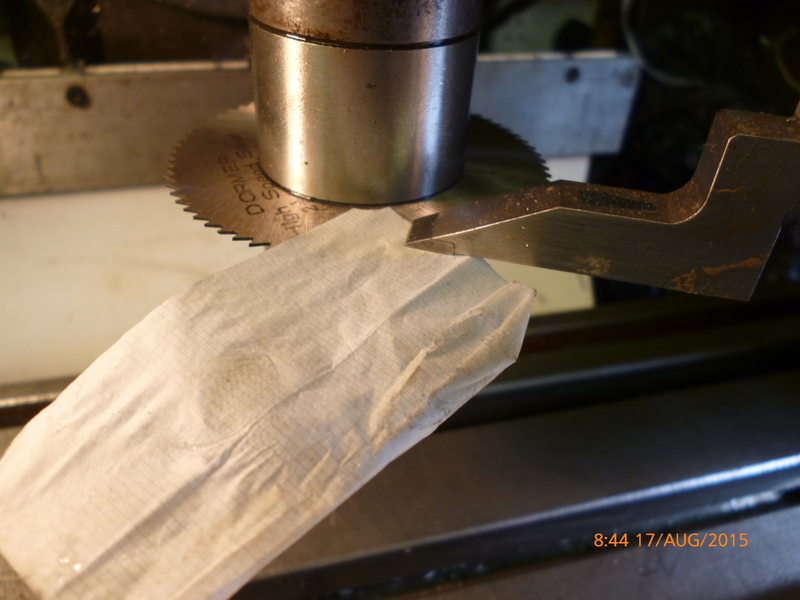 The table is raised so that a piece of cigarette paper placed between the cutter and the height gauge cannot move freely. The paper is removed and the table raised by the width of the paper.